Demand generally outstrips supply in most areas. The country is small, with many environmental restrictions – there are a fair number of new build properties and Greenfield developments, but these are not enough to satisfy demand in most areas. Interest rates are low – currently 2%, and mortgage rates are about 3.3% - very low by UK standards. There is not much competition from fellow property investors – the Dutch tend not to be as individually entrepreneurial as the US and UK citizens. There are less self employed and more proportionally more people working for (large) companies than in the UK. The property investors are sometimes less sophisticated in view of the more limited statistics, analysis and smaller and less organised investor networks. Most of the houses and flats that are let are done so via housing corporations that are broadly “non profit making”, who plough profits back into more housing for the local communities. These corporations are large, well organised, regulated and professional. The smaller individual property investor with a portfolio of say 5 properties is a fairly rare breed. Banks, Notaris (solicitors) and Makelaars (Real Estate Agents) tend to be effective and efficient – costs are reasonable, and people can generally be trusted. The typical Dutch property investor will have a medium-large portfolio, which might be commercial, retail or residential. Local networking is strong and properties will often be traded within these networks. It is advantageous to try hooking into these networks, but this is not a pre-requisite for investment. Knowing the Dutch language helps, but again, one can get by with the help of someone else that can speak the language (friend, adviser, solicitor/Notaris). Criteria for residential property investment can be quite simplistic – such as “purchase any property that has gross yield of less than ten times the asking price”. We know investors that aim for 7-8, but these are extremely hard to find, 10-11.5 being a more realistic target range. If you have passive income as your top objective, we would encourage you to use such screening criteria. If you are more interested in capital growth, using such criteria is also helpful as a discipline – e.g. purchase in an area with higher capital growth and less than 11.5 Price/Earnings ratio. When a property is purchased, if an offer is made that is agreed, this is legally binding. The only “opt-out” is if you cannot raise funding within a certain period, normally 7-10 days. If you can prove that funding was not possible, then you can “pull-out” of the deal. This system is common in many countries, but not England and Wales. You might be able to build into the up-front offer “subject to commissioning and reviewing my own survey with 10 days” but this depends on your Notaris. Taxes on completion is about 6% of the purchase price. However, if you sell the property again (“flip” the property) within a 6 month period, and build the relevant clause into the sales contract, you can get this tax back from the new purchaser because the Dutch government does not ask for two sets of 6% within a six month window, only one. This is important for investors who identify a good property for renovation and selling quickly for a profit. This tax break can dramatically improve the economics, as long as you can complete the purchase, renovate then secure a further sale and completion within a six month window. Because the house purchase process may only take six weeks, this is quite possible. Legal costs and surveys/advice are a bit more expensive than in the UK or USA – say about 30% more. However, the seller provides a “seller pack” including a survey that reduces the purchasers costs. Any issues that the property has need to be transparently communicated by the seller to the purchaser as a legal requirement – this reduces the purchaser’s risk. Like the UK, Holland has a large student population – examples of large University towns are Utrecht, Groningen, Leiden, Delft and Amsterdam. Because of the increasing student numbers, accommodation is most of these towns is in short supply – many individual Landlords find renting to students a hassle and the Universities have not kept pace with demand, so large student houses in particular are in short supply. These houses are popular with the student associations/societies/clubs since they like to live together with other members of their association. Furthermore, prices in towns like Leiden and Utrecht shot up some much in the late 1990s that yields dropped which encouraged landlords to look elsewhere. The Dutch residential property market is a tough one to segment and predict where the future growth areas will be. The wealthy “baby-boomers” will be retiring, but most Dutch retirees “stay put” in their local area – they may downsize after some time, but may keep their original family homes until they pass away or have to move into a retirement/nursing home in very late life. The migration of retirees to the coast is limited – the coast is never more than an hour or two away for the whole country and though the beaches are pleasant in the summer, they tend to be long, flat and wind-swept in the winter – a bit bleak for the elderly. Most properties do not have sea-views – the views that do exist are of the flat North Sea landscape - so there is not the craving by the elderly to “get to the coast” that one finds in the UK and Spain. Some Dutch have a second home in France or southern Spain, but there are only small numbers that emigrate for good to such destinations – the reason for this is that the Dutch like to stay close to their family and friends. Holland in the middle of the summer is a very pleasant place to be. Some wealthy retirees spend the winter months in southern Spain, in part for health reasons and come back for most of the summer. So there are not really “retirement centres” as such – only areas where there are a higher proportion of retired people. The most popular retirement areas approximate to the areas where the middle aged take their Dutch holidays – these are: the Veluwe (between Apeldoorn, Harderwijk and Arnhem), Friesland, some parts of Drenthe (e.g. 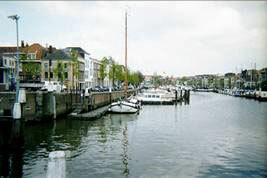 Zuidlaren, Gieten), Zeeland and Scheveningen. That said, the younger retiring baby-boomers are more likely to want to live in more dynamic areas with a “café culture” and arts. Popular property for the future is likely to be very central 2 bedroomed apartments, new or old, in historic towns such as Leiden, Delft, Utrecht, Groningen, Amsterdam, The Hague, Zwolle. Close to shops, amenities, culture, bars, arts and night-life. The more active retirees may wish to purchase smallholdings or farmhouses with a bit of land (for horses etc) in the north of Holland, such as Friesland, Drenthe and Groningen. Expect these prices to go up as wealthy people from the populous western parts move north to pick up a bargain. Luxury corporate lettings have taken a beating in the last few years as the 2003 Dutch recession kicked in – the US market dried up after September 2001 and is only just recovering. The European expatriate market was depressed because of the Eurozone economy slowing – this is showing some signs of picking up, but this might be slow a while longer. Meanwhile there is a glut of office accommodation – companies downsizing and shifting employment to lower cost countries has not helped the economy. Holland’s proximity to a low growth Germany has also not helped- Germany is Holland’s biggest trading partner by far. PropertyInvesting.Net cannot see the German economy improving to it’s performance of the early 1990s so this will tend to drag down the growth rate in Holland (expect 1-2%). This should however keep interest rates fairly low, although the Eurozone inflation is now 2½% (with growth of about 1-2%) so clearly the economic fundamentals are not looking favourable. Unemployment in the short-medium term is not likely to improve a lot though it’s not likely to get a lot worse either. So the economy is likely to put a lid on any stellar rises in house prices overall. I would expect price inflation to stumble along at about 0-8% per annum on average in the middle of the market. In the upper market, this depends on taxes and how other European countries do and is more uncertain. The lower end of the market is also quite difficult to judge – this might rise or fall – I would not advise purchasing in a deprived area since these often get worse (unlike in most UK areas which tend to improve as time goes on). Examples of such areas with large high value houses include Hilversum, Bloemendaal and Wassenaar. If you do choose to purchase corporate lets, Amstelveen is certainly worth considering. Distilling this complex series of forces down, PropertyInvesting.net would advise concentrating on purchasing property in the lower-middle to middle-upper end of the market. Avoid the uppermost or lowermost markets. 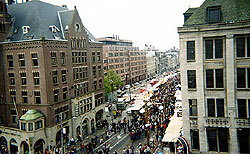 The middle market is by far the largest market in Holland. This advice is based on the hypothesis that the lowest end can get less popular, and the upper end could be affected by higher taxes, less expatriates and a global downturn. The middle market is the largest and least likely to falter because demographics are reasonable and supply is not keeping pace with demand in most areas. Some potential towns/cities are Leiden, Utrecht, Zwolle, Amsterdam, Apeldoorn, Den Haag, Maastricht, Hilversum, Harderwijk and Den Bosch. Large 5-8 room student houses in University towns with strong rental demand, particular if you know of a shortage of such accommodation. These are preferably close the university and/or bars and night-life, in older style property that can be converted one day into “baby-boomer” luxury retirement homes. Be careful to make sure the house has fire and Gemeente certification for multi-occupancy (e.g. fire protected doors etc). Some areas of towns have stopped giving such certificates because there are so many students in the area – this can add to pent up demand. Note also that rents are regulated – so a certain size and specification of room has a maximum allowable rent. Another consideration is that it is very difficult to move students out of a property – the courts side with the tenants on almost all occasions. A Landlord may have to “do a deal” with a tenant or group of tenants to secure vacating a property – this is an additional risk. Ideally, the property would be big enough to convert either to 2-3 luxury central city apartments one day, or renovated back to a trendy central city family or “empty nester” home. Another strategy is to purchase an old farm in need of renovation, but before putting the offer in, get the verbal agreement of a neighbouring farmer to sell say 5 acres of adjoining land. The land and house together will be worth far more than separately since there are so many wealthy people from the west willing to pay significant amounts for a nice property with some land for horses and animals. Building a low cost stable block could also add a lot of value. Rental marketability and yield will vary depending on proximity to high paid employment – be prepared for long void periods if the property is remote. However, if it's only 15 minutes drive to somewhere like Groningen, as long as the rent is competitive, you should not have a problem renting it out. Remember though that land and grounds need maintenance. Before letting such a farmhouse to a professional and family, you might find it optimal to lease the land to a local farmer (short-term renewal contracts) and organise a gardener as part of the tenancy agreement for the house. Be careful with this strategy, since many companies are reducing their workforces. If you can purchase good quality 3 bedroomed apartment or house at a low price, with good yield in Amstelveen, you might have low void periods, good quality tenants and a property that appreciates in capital value because there is not enough new-build property being built. Make sure the property at least has a balcony, preferably access to a garden, is not on a main road and is in a secure area. Parking is important and proximity to the international schools helps. If the apartment or house has a secure area for kids to play in, this helps (e.g. cul-de-sac, opposite park, no traffic). If you can purchase cheap and renovate at low cost, then this is also favourable. Be aware that the Dutch like new furniture, white goods and decoration – apartments done to high specification – and this does not come cheap. PropertyInvesting.Net hopes this section has been useful to you in steering you towards the better residential property investment opportunities in Holland. In summary, it's not bad, not brilliant, is fairly stable, and is complex. The trick is as ever to get high yield with high capital value increases by spotting where demand growth with supply restriction will be present. Even if prices do not rise on average, you might find the property you purchase from a “motivated seller” was purchased at 20% below true market value, you renovated and added 10% and the prices in that specific are went up by 10% in the year. Look hard and you will find bargains. If you have any feedback, ideas or comments on this review, please contact us.